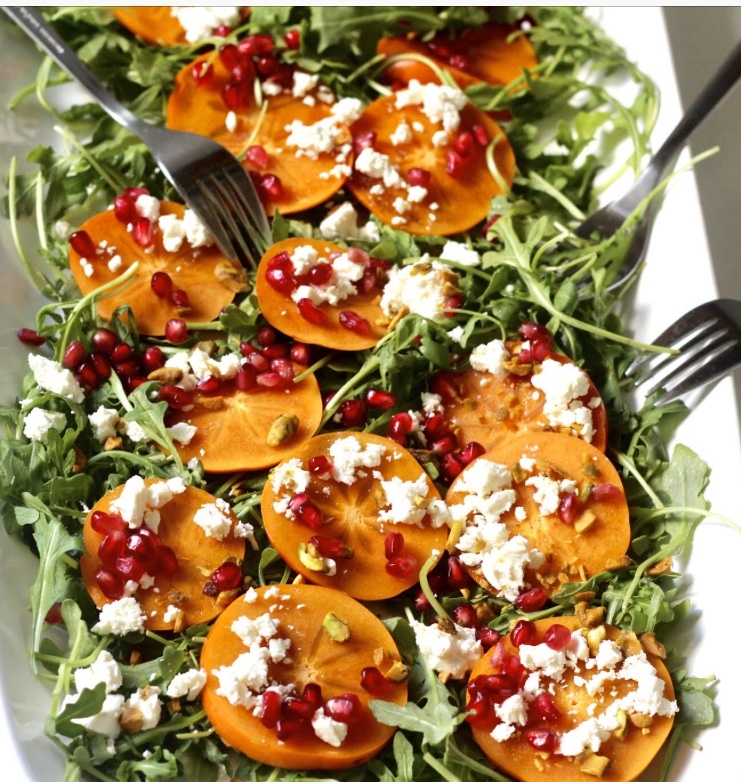 Arrange arugula on platter along with persimmon slices, feta, pistachios and pomegranate seeds. 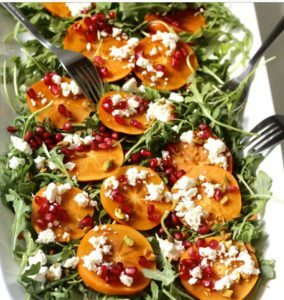 Toss with olive oil and balsamic glaze. Season with salt + pepper to taste. Serve and enjoy!